I could have done it a third time, and gotten the solution perfect—but I just don't care enough! Frogging the work twice was 2 more times than I wanted! The sole is over 6 inches long (and normally I would start toe shaping at 7—7.25 inches) and the instep is growing longer faster. The foot is taking shape--A normal foot shape—vs the lumpy messes the first few tries. The stitch count is where it should be (64 stitches)--which is 4 more than I normal would use—but a bias fabric needs more ease. I am still increasing 2 times every third round, and now decreasing at the same rate—and in addition working shaping on the alternate rounds. 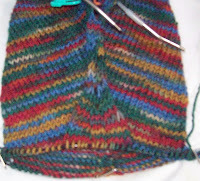 The shaping is paired increase (center) with paired decreases, that create an ever widen V on the top of the sock. This will (eventually) creating the same upward shaping on the instep as is found on the sole. 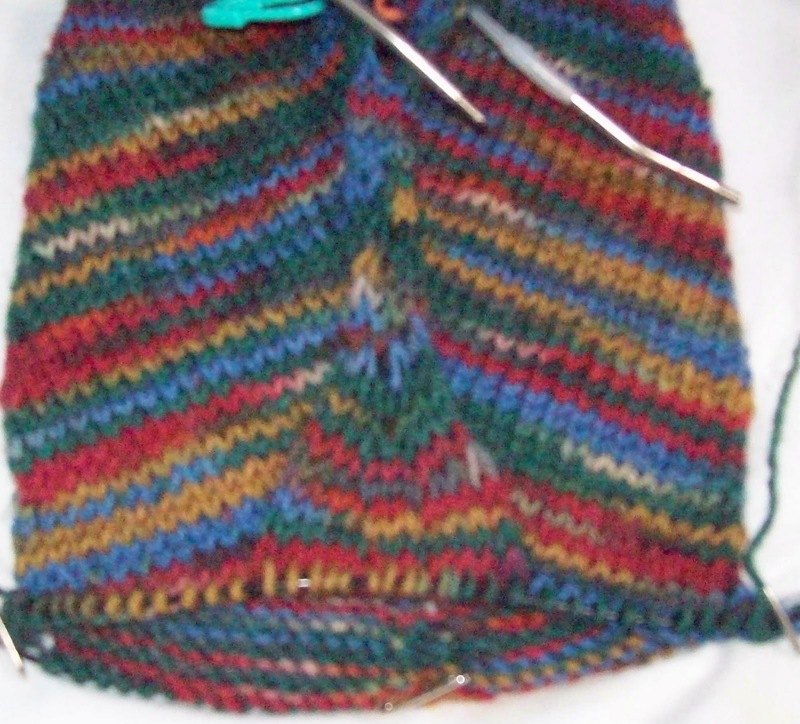 There is the occasional short row, too, to help the instep along. 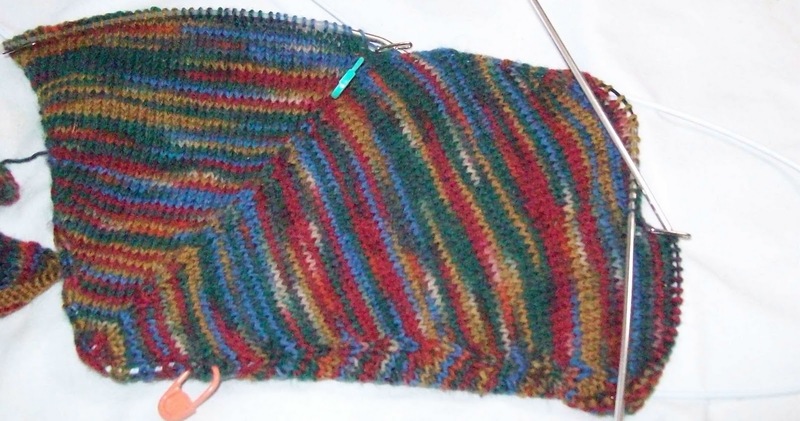 The toe shaping will be minimal—I am going to partially rely on the natural pointed shape that the increases provide to form a rounded toe tip.